K B Sunspaces offers a variety of products designed to enhance your outdoor living. By approaching every project with professionalism, craftsmanship, dependability and the highest levels of quality control, K B Sunspaces ensure that your project will be a worry-free experience from start to finish. Whether it’s a new addition to entertain in or simply a cozy place to relax, K B Sunspaces has a sunroom that is sure to fit your every need. 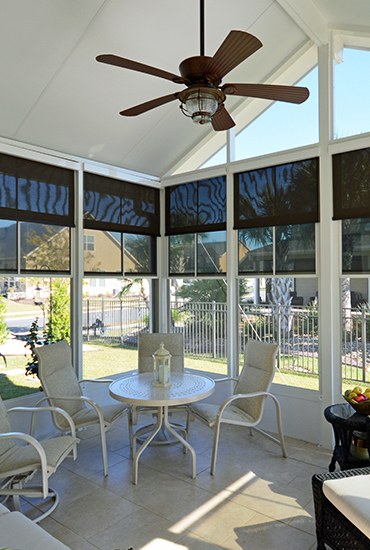 Take the comfort a step further with our custom sunshades, offered in multiple colors with matching valances. 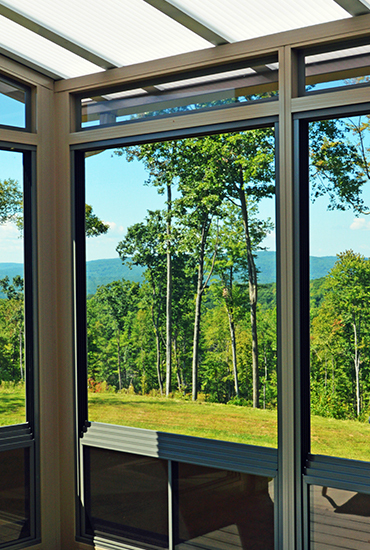 WeatherMaster Windows and Doors are the premier porch and patio enclosure window system in North America. Built for view and ventilation, our 4 Track Windows are the answer to problems with pollen, insects and rain. Need a railing system? We offer contemporary Glass Railings & traditional Aluminum Picket Railings – in a variety of colors and profiles. Our decking systems are color coordinated and have both waterproof and insulated options. If you already have a sunroom and want a truly outdoor space but with insect and UV protection, then one of our screenrooms would be exactly what you’re looking for. 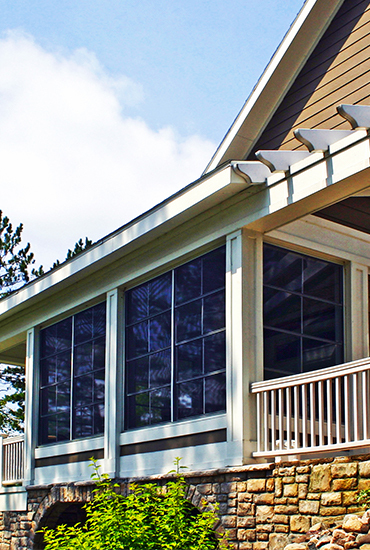 Authorized Dealer of Aristocrat Awnings, Canopies and Solar Shades for homes and businesses.